BURLINGTON, Vt. — Nine-year-old Zella Upton and her mother, Yarrow, raised their arms and cheered. Then they each ate a full-size Snickers bar, standing on the border of the United States and Canada. The mother and daughter from Burlington had just completed a 273-mile trek along the spine of Vermont, from the Massachusetts state line to the Canadian border, from the southern to the northern ends of the Long Trail, the oldest long-distance trail in the United States. The two set out in mid-July, chronicling their trip on a YouTube channel, Mama Star and Little Rainbow. As they finished in early September, it was chilly and raining. The leaves were already beginning to turn near the finish point. Along the way, the two climbed all the highest mountains in Vermont – Camels Hump, Mount Mansfield, Killington. Other hikers gave them trail nicknames – Mango and Woofy. They waited out a tornado watch at the base of Mount Mansfield, Vermont’s highest mountain. They did not have to take the bad-weather bypass. Would they go on another backpacking trip? “No, never,” Zella said. But Yarrow said she might consider it. She said she’s heard good things about a trail near Lake Superior. Originally, the impetus for the hike was that it was an adventure, Yarrow said. But it grew to be more than that. She said Zella would have an accomplishment that nobody could take away, a source of strength she could draw on if things get hard. She said Zella understood that she had done something special, something she would be able to carry with her for the rest of her life. The Green Mountain Club certifies “End to Enders,” people who have hiked all 273 miles of the trail like Zella and Yarrow. Over 3,100 people have received the certification from the club. Yarrow said she was unsure if Zella would be the youngest End to Ender, and would have to check with the club. 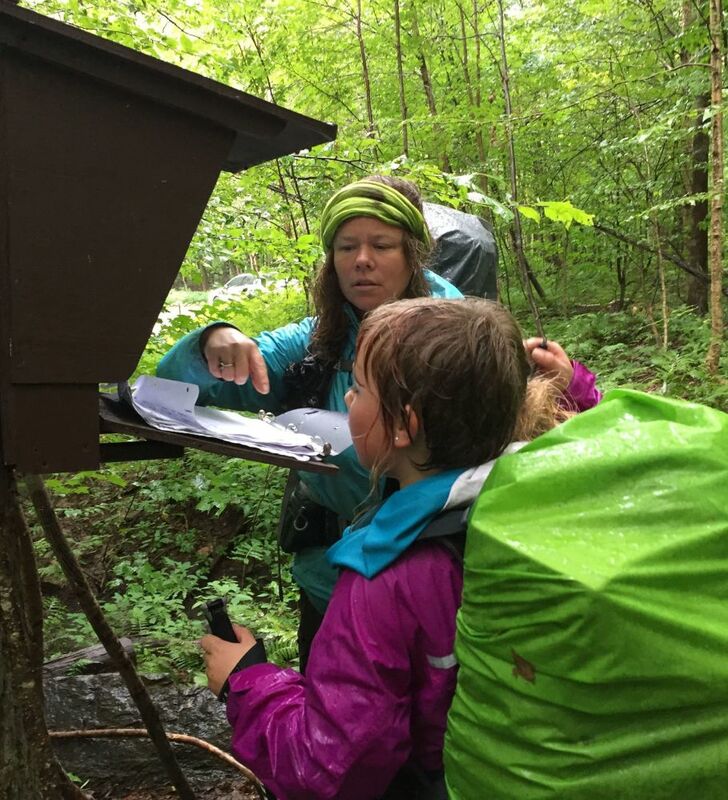 The organization, which maintains the trail, was not open on Sunday, the day the mother and daughter came out of the woods and back to their home in Burlington. The trail was difficult, Yarrow said. She added that she would tell other parents thinking of doing a thru-hike with their children that they would need to have patience. But she said they both enjoyed standing on top of a mountain, like Camels Hump, and seeing the far-off mountains of southern Vermont and knowing they had covered all of those miles with their feet.